There was a kind of magic that earlier spring, under the Quantock ridge, where Hope Corner Lane crossed the Kingston Road. If we left home early in the half light, before breakfast, the white owl would still be ghosting alongside the hedgerows on silent wings to take a last late vole to the shadow of the barn. And there in the garden of the big house, behind the wall, a fairy woodpecker, red head and ladder back would be fidgeting his way up the tall trees. Alas, the house has been demolished; the barns pulled down, the birds gone, even the chinking of Corn Buntings in the fields. The spectral owl still hunts in the wildernesses, but the fairy woodpecker is a figment, an image torn from a book, a trace in the memory. Fifty three more springs have passed. And then on Thursday, lying in sharvasana (the corpse posture) under the tall beeches on the Tumps, I heard a soft regular tapping, more like a snore or the purr of a contented cat, and a high pitched call repeated three times. I opened my eyes and caught a flutter as a tiny bird, no bigger than a sparrow but more fragile, moved to another dead limb and rattled a different pitch. I focussed; the same white stripes, the red cap, the cheek patches and I believed in miracles. 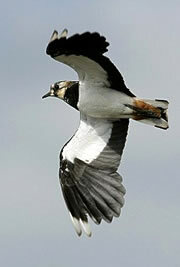 The Lesser Spotted Woodpecker has declined by more than 90% in the last fifty years in the UK and cross Europe. There are now fewer than 2000 pairs left in Britain. At least two pairs are present amid the deer and open woodland in Chatsworth Park. 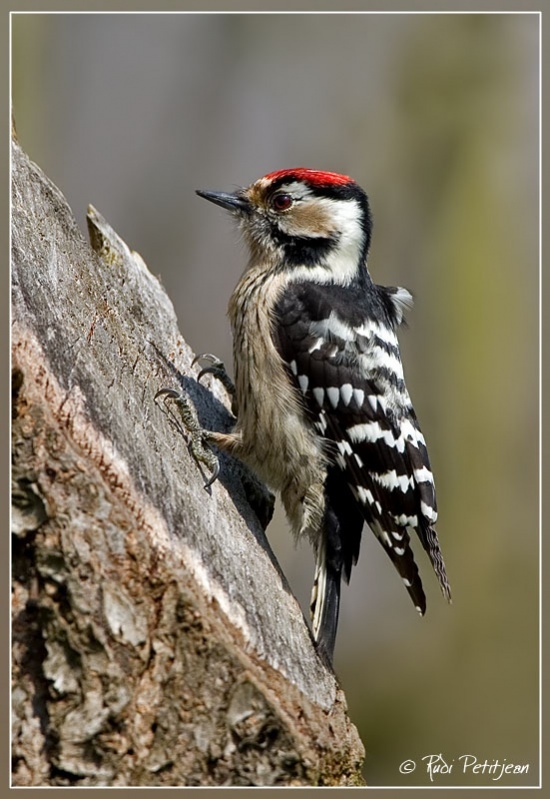 The British Trust for Ornithology identifies the possible reasons for its decline as competition with and predation by Great Spotted Woodpeckers, and reductions in small-diameter dead wood suitable for foraging, while the species’ large home ranges suggest that landscape-scale changes in woodland (loss of mature broadleaved woodland, losses of non-woodland trees such as elms, and woodland fragmentation) may also be important (Fuller et al. 2005).